For metal, pottery, wood, rubber, glass, plastic, stone and more. Quick drying, water, fade- and abrasion-resistant ink. Note: A minimum quantity of 372 must be ordered, and in units of 12 thereafter. 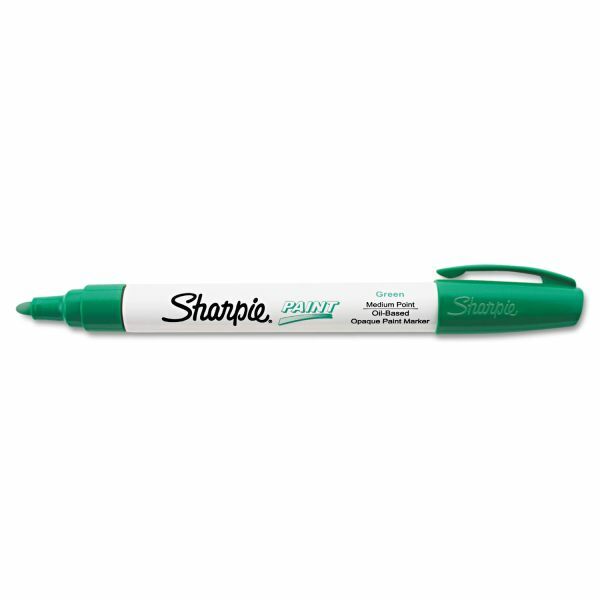 Sharpie Permanent Paint Marker, Medium Bullet Tip, Green - Sharpie oil-based paint marker is perfect for arts and crafts. Marks permanently on most surfaces including glass, metal, plastic, rubber, stone, wood, pottery and more. Quick-drying ink is weather-resistant, fade-resistant, acid-free and xylene-free.